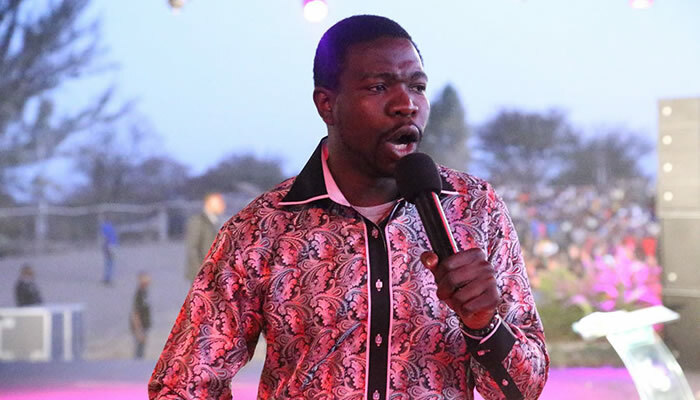 ZIMBABWE GOVERNMENT: RUBBISHES Prophetic Healing and Deliverance (PHD) Ministries leader Prophet Walter Magaya claims of HIV treatment with Laguna. Prophetic Healing and Deliverance (PHD) Ministries leader Prophet Walter Magaya has not yet submitted Aguma for review and assessment as a herbal supplement and people should not buy medicines from unapproved and unlicensed persons, Information, Publicity and Broadcasting Services Minister Monica Mutsvangwa has said. Addressing journalists at a Press conference to update media on a meeting held by President Mnangagwa earlier with members of the private sector and to respond to claims by Prophet Magaya on Sunday that he had discovered an Aids cure, Minister Mutsvangwa said Government was concerned with these claims as there were processes and procedures in Zimbabwe that medicines go through before they are recognised as effective and safe for use by patients. “Medicines go through rigorous tests including clinical trials, which involve use of the product under strict medical supervision. This is done prior to registration and the results are submitted to the medicines regulator as evidence of the effectiveness of a medicine,” said Minister Mutsvangwa. She said if the said trials were to be conducted in Zimbabwe, the Secretary for Health and Child Care would have to authorise them to ensure that patients received safe, effective and reliable medicines. Minister Mutsvangwa said in this case neither did the medicines register nor the register of clinical trials had records for Aguma. Further, she said, herbal medicines now required approval by the Medicines Control Authority of Zimbabwe and the said product had not yet been submitted for review and assessment. “The ministry strongly urges all clients on treatment for HIV and Aids to continue on their prescribed medication. Any form of discontinuation or switch made without the guidance of medical professionals may lead to adverse consequences on their health status,” said Minister Mutsvangwa. She said available medicines have been proven to be safe and effective in lowering HIV virus as well as prolonging the lives of people living with HIV. “The ministry therefore further advises members of the public to acquire their medicines from approved sources and licensed persons,” said Minister Mutsvangwa. She said relevant authorities were, on the other hand, urgently looking into the matter after which the nation would be advised on the said claims. Regarding modern day medicines, Minister Mutsvangwa said they relied on science and evidence. She said the Ministry of Health will continue encouraging and supporting innovations and discoveries of new products which are done within the provided regulatory framework. Prophet Magaya’s claim also drew criticism from different stakeholders in the health sector arguing that people living with HIV might stop taking their antiretroviral treatments for the Aguma herb. A visiting academic from the University of Cambridge’s offshoot – Diagnostics for the Real World – Professor Helen Lee said it was impossible for one to become HIV negative in two weeks. “When you are infected by HIV the body produces some antibodies and these antibodies will stay for life in your system. But if you take ARVs, they will only control the growth of the virus so your virus can be negative but your antibody will always be positive for life, so anyone who tells you, that they can give you some drug and that you will become antibody negative in two weeks is not telling the truth. It is not scientific and it can do patient harm,” said Prof Lee. The National Aids Council weighed in saying there was currently no known cure for HIV and Aids. NAC executive director Dr Tapuwa Magure challenged those claiming to have discovered a cure to provide sufficient scientific evidence and regulatory approvals before going public with their claims. “NAC is not aware of any such clinical trials locally or globally that have been conducted showing efficacy in the management of HIV,” said Dr Magure. Responding to a tweet by the Ministry of Information, Publicity and Broadcasting Services earlier expressing concern over the Aids cure claims, United Nations resident coordinator in Zimbabwe Mr Bishow Parajuli described Prophet Magaya’s claims as baseless. “Well done for this timely intervention: such baseless claims can have a potential huge negative effect on people’s life and must be responded with clarity soon and discourage respectable media to cover,” reads his tweet. The Zimbabwe Medical Association (ZiMA) and the Zimbabwe Association of Doctors for Human Rights (ZADHR) also criticised Prophet Magaya’s claim for lacking scientific evidence obtained through ethical research methodologies. According to Prophet Magaya, the Aguma plant is found in Zimbabwe and Mozambique and has chemicals that can boost the immune system.Herald. KHASHOGGI KILLING: The Saudi Arabia Chief prosecutor, who previously had not submitted testimonies by the 18 arrested individuals to the Turkish chief prosecutor, has now handed over the 18 testimonies to Turkey.